A few weeks ago (December 2015), I was honoured to co-lead yet another trip with Eagle Eye Tours … this time, their annual adventure in Trinidad & Tobago! If you’re not familiar with this company, please check them out – they are a great Canadian company that offers amazing trips to many of the world’s best birding locations and I always enjoying working with them. They are also committed to being environmentally responsible and giving back to birds & conservation programs wherever they travel! Trinidad & Tobago provides a great introduction to the birds of South America … it has a selection of almost every bird family found in mainland countries, but in a smaller and easier to navigate setting. 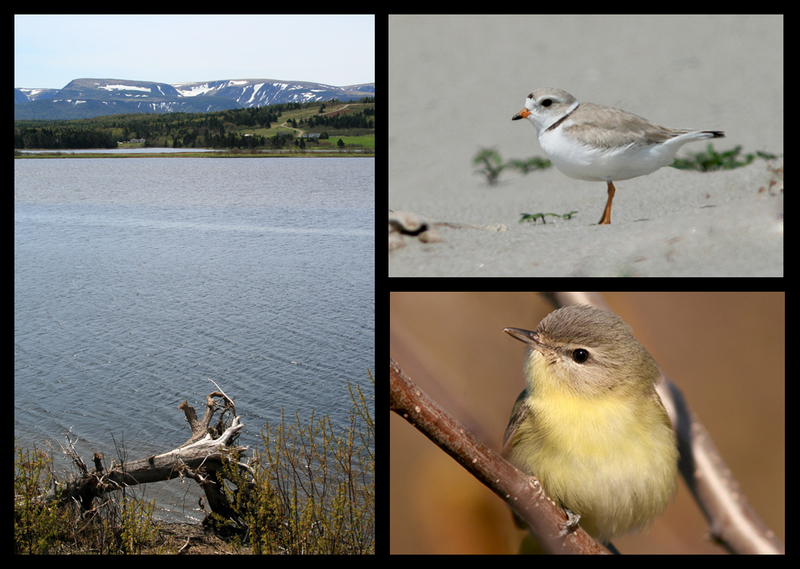 In fact, we birded many habitats across much of the country while staying at just two locations … and we saw a LOT of awesome birds and other wildlife! This funky-looking Tufted Coquette was just one of many awesome birds that we enjoyed during the 2015 Eagle Eye Tours trip to Trinidad & Tobago. On the larger island of Trinidad, we stayed at the famous Asa Wright Nature Centre, where incredible birding was literally right at our doorstep! This centre and lodge was a pioneer in the world of ecotourism, and remains one of the best places for birding in the tropics. Whether relaxing on the veranda, walking the trails or taking a day-trip to nearby parts of the country, we encountered awesome birds,wildlife and scenery at every turn. Not to mention great people, delicious food and an endless supply of wonderful, locally grown coffee! The view from the veranda at Asa Wright Nature Centre looks down over a lush valley in Trinidad’s Northern Range. Lots of great birds and other wildlife in there!! A portion of the proceeds from this tour went to support the great work of both Bird Studies Canada (represented here by my friend & co-leader Jody Allair, centre) and the Asa Wright Nature Centre. Our group REALLY enjoyed their stay! Using the Asa Wright Nature Centre as our base, we explored a variety of habitats throughout northern and central Trinidad – mountain rainforests, grasslands, wetlands and even coastal swamps and fishing harbours. And during our “down time” we enjoyed the incredible birding available on the centre’s large estate – much of which remains wild and natural rainforest. The large veranda at the main house is alive with birds – dozens of hummingbirds, tanagers, orioles, honeycreepers, oropendolas and many more beautiful species taking advantage of a rich offering of food! Some of our best birding was done right from the veranda! Dozens of humming bird feeders and a buffet of fresh fruit brought an amazing variety of birds right to us. Here, some Bananaquits enjoy a juicy chunk of melon. Plenty of other birds were spotted in the canopy surrounding the nature centre, including this beautiful Channel-billed Toucan. The estate offers lots of great birding right on site – property around the lodge, amazing trails, and even the road. And it’s not just birds. Trinidad has an incredible diversity of butterflies, including the large and beautiful Blue Morpho (known locally as the “Emperor”). Of course, hummingbirds are huge part of any visit to the tropics, and there is no shortage here! White-chested Emeralds were among the most confiding at Asa Wright’s very busy feeders. Less common at feeders but fun to watch were the hermits, like this Green Hermit. Despite being larger than the other hummers, they were often bullied away from the food and fed with interesting strategies. Many wild mammals in Trinidad are secretive and rarely seen, but the Red-rumped Agouti has adapted well to human settlement and enjoyed the fresh fruit being offered to birds at the nature centre. While some birds are well camouflaged for life in the forest, others are very colourful. Violaceous Euphonia is certainly among the most brilliant! Some birds advertise themselves in much more entertaining ways than colour. Male White-bearded Mannikins perform elaborate courtship dances at leks, and we got to enjoy the show on a couple occasions. This little fella has his beard puffed out (some might joke that I’ve been known to use a similar strategy!). Here, another White-bearded Mannikin poses during part of the performance, showing a little less of the beard. Frogs were often heard but rarely seen on our hikes, but we were fortunate to find a chorus of Trinidad Stream (Yellow-throated) Frogs. These tiny but very noisy critters are endemic to Trinidad, making it an extra special treat to see! Even more fortunate was this sighting of another endemic species – Urich’s Litter Frog. These tiny frogs are nocturnal, and we found one sitting on a leaf during a night stroll. Tufted Coquettes are stunning, but somewhat scarce in Trinidad. One or maybe two pairs can be found at Asa Wright, and photographing them was one of my “goals” during our visit. It proved a little tougher than anticipated since they never visit feeders, are extremely fast and active, and can be a bit elusive. It took a few days to figure out the feeding patterns of this male, but it eventually paid off with some decent photo opportunities. I love this bird! A friend of mine described the male Tufted Coquette as the “David Bowie of hummingbirds”, and here you can see why. Check out that crazy costume! There are lots of other beautiful creatures to be found, including this Variegated Gecko which occurs only in Trinidad and northern Venezuela. One of the most special experiences we had was a trek to see the Oilbirds at Asa Wright. These almost mythical birds are the only nocturnal flying fruit-eating birds in the world, using a combination of echolocation (just like bats!) and specially adapted eyesight to navigate in the dark. They live in caves, and produce the most guttural, haunting sounds you can imagine. Visiting the cave is a surreal experience, to say the least! We were also fortunate enough to spot four flying over the the valley in search of food one evening. Another colourful visitor to the Asa Wright property is the Yellow Oriole … what a great looking bird. Equally colourful, though of a very different hue, is the Blue-gray Tanager. These beautiful birds were regular visitors to the veranda feeders, yet I somehow came away with out a single unobscured photo (but I do like this one!). In addition to great birding, we also took opportunities to learn about the local culture and economy. Trinidad is well known for its cocoa, and here our group is learning first-hand how it is traditionally harvested and processed. In addition to cocoa, you can often find coffee growing throughout the landscape. Nothing goes better with a day of birding at Asa Wright than a great cup of coffee that was grown, harvested and roasted right on site! We had no trouble spotting a few Golden Tegu Lizards. At nearly a metre long, the largest of these critters could appear a little menacing and I usually gave one the right-of-way if I met it on a path! Smaller, but still a little menacing, was the Trinidad Chevron Tarantula. We spotted several of these, including this large female during a night stroll. Another (apparently a male) was making itself at home in the main house of the Asa Wright lodge. I hardly ever sat down without checking for it first! As you can tell by now, night time can be just as exciting as daytime when looking for life in the tropics. We saw or heard five species of owl in Trinidad, including this cooperative Ferruginous Pygmy Owl. Click here to read Part 2 of our adventure in Trinidad & Tobago!